Psychotherapy is an interpersonal transaction. Its effectiveness in treating the ills of the client is to some extent dependent upon the chemistry between the therapist and the client, termed the therapeutic alliance. Research has demonstrated that there is a positive relationship with moderate effect sizes between treatment outcomes and the depth of the therapeutic alliance. The personality and characteristics of the therapist are essential ingredients in forming a therapeutic alliance. Research has shown that effective therapists are able to express themselves well. They are astute at sensing what other people are thinking and feeling. In relating to their clients, they show warmth and acceptance, empathy, and a focus on others, not themselves. It would seem that mindfulness would be an important contributor to therapist effectiveness. Communications involve not only talking but listening, a mindfulness skill. Being able to look at things as they are without judgement, another mindfulness skill, would appear to be essential to this relationship. The mindfulness component of being in the present moment would also seem essential to focusing on and being responsive to the client’s immediate experience and reactions. Resilience is a personal characteristic that “enable one to thrive in the face of adversity.” The therapeutic process is not a linear progression from psychological problems to mental health. It contains many setbacks, resistances, and reversals that must be weathered in order to progress. The ability to withstand this adversity, resilience, is an essential characteristic of an effective therapist. So, it would be reasonable to suspect that the mindfulness and resilience of the therapist would be related to the successful outcome of the therapy. In today’s Research News article “The Role of Practitioner Resilience and Mindfulness in Effective Practice: A Practice-Based Feasibility Study.” See summary below or view the full text of the study at: https://www.ncbi.nlm.nih.gov/pmc/articles/PMC5550533/, Pereira and colleagues recruited psychotherapy practitioners and measured them for resilience and mindfulness. In addition, they recorded data of the therapists’ depressed patients from a database of patient outcomes. In particular, they recorded improvements in depression and work and social adjustment. They separated therapists into two groups based upon their success in treating depression, less or more effective therapists. They found that the more effective therapists had significantly higher scores for mindfulness and resilience. In addition, the more mindful and the more resilient the therapist the greater the therapist’s effectiveness. Hence, therapist mindfulness and resilience were significant contributors to effective treatment for depression. It should be kept in mind that this study was correlational and care must be taken in interpreting causation. But, the results are suggestive that therapist mindfulness and resilience are important for effective treatment of depression. It is interesting that mindfulness training has been shown to improve resilience. So, mindfulness may be the key. This suggests that therapist training should incorporate training in mindfulness to improve their resilience and effectiveness as mindful and resilient therapists have better patient outcomes. A growing body of literature attests to the existence of therapist effects with little explanation of this phenomenon. This study therefore investigated the role of resilience and mindfulness as factors related to practitioner wellbeing and associated effective practice. Data comprised practitioners (n = 37) and their patient outcome data (n = 4980) conducted within a stepped care model of service delivery. Analyses employed benchmarking and multilevel modeling to identify more and less effective practitioners via yoking of therapist factors and nested patient outcomes. A therapist effect of 6.7 % was identified based on patient depression (PHQ-9) outcome scores. More effective practitioners compared to less effective practitioners displayed significantly higher levels of mindfulness as well as resilience and mindfulness combined. Implications for policy, research and practice are discussed. Psychotherapy is an interpersonal transaction. Its effectiveness in treating the ills of the client is to some extent dependent upon the chemistry between the therapist and the client, termed the therapeutic alliance. Research has demonstrated that there is a positive relationship with moderate effect sizes between treatment outcomes and the depth of the therapeutic alliance. The therapeutic alliance is conceptualized as consisting of three components, tasks, goals, and bond. Tasks are what the therapist and client agree need to be accomplished to reach the client’s goals. Goals are the outcomes that the client hopes to result from the therapy. 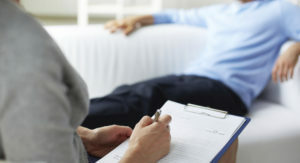 The bond between the therapist and client develops from trust and confidence in the therapist that the process will satisfy the client’s goals. It should be clear that this alliance is a cornerstone of the process of psychotherapy. If the client’s goals and expectation are not aligned with those of the therapist, if the client does not agree with or is unwilling to undertake the tasks involved, or if the client doesn’t trust the therapist, then the therapy is doomed to failure. The personality and characteristics of the therapist are a essential ingredients in forming a therapeutic alliance. Research has shown that effective therapists are able to express themselves well. They are astute at sensing what other people are thinking and feeling. In relating to their clients, they show warmth and acceptance, empathy, and a focus on others, not themselves. It would seem that mindfulness would be essential. Communications involve not only talking but listening, a mindfulness skill. Being able to look at things as they are without judgement, another mindfulness skill, would appear to be essential to this relationship. The mindfulness component of being in the present moment would also seem essential to focusing on what are the client’s immediate experience and reactions. So, it would be reasonable to suspect that the mindfulness of the therapist would be related to the therapeutic alliance and to the outcome of the therapy. Razzaque, Okoro, and Wood explore the relationship between mindfulness and the therapeutic alliance in experienced therapists. They found a strong positive relationship between mindfulness and the ability to form effective therapeutic alliances. All of the components of mindfulness were found to be related to therapeutic alliance, but openness to experience and non-judgmental acceptance were found to be the most important components. The fact that openness to experience was the most important mindfulness characteristic predicting therapeutic alliance should be of no surprise. It allows the focus of the therapist’s attention to be open to whatever the client brings to the therapeutic session. This results in the clients feeling listened to. In addition, the clients themselves can learn to be open by modelling the openness displayed by the therapist. The fact that non-judgmental acceptance was an important mindfulness characteristic should also be of no surprise. This results in the therapist being more accepting of the clients’ difficulties without judging them. This allows the clients to also come to accept themselves and their problems and work toward solving them rather than ruminating about them. Hence the results of the study support the notion that the mindfulness of the therapist is essential to the therapeutic alliance and the ultimate success of the therapy. It should be mentioned that this study was correlational and cause and effect cannot be determined. It will be important to perform research in the future where mindfulness training is provide to therapists and to determine if this then improves the therapeutic alliance and the outcomes of therapy. So, be mindful to be a better therapist. A large proportion of psychological problems involve difficulties with emotions. These include depression, anxiety disorders, phobias, bipolar disorder, etc. Much of psychotherapy is devoted to treating these disorders. So, it is important to constantly work to improve treatment methodology for better treatment outcomes. Mindfulness has been shown to be effective in improving the regulation of emotions. (see http://contemplative-studies.org/wp/index.php/2015/09/10/take-command-and-control-of-your-emotions/ and http://contemplative-studies.org/wp/index.php/2015/08/20/regulate-emotions-with-mindfulness/). So, it would be expected that mindfulness would be a positive influence on the outcomes of psychotherapy. Mindfulness is both a state and as a trait. We can be particularly mindful at a specific moment in time or we can be in general mindful most of the time. A person, high in trait mindfulness would simply be more likely to have state mindfulness at any particular time. People who are high in trait mindfulness tend to pay attention to their emotions more and be very aware of their emotions and internal sensations accompanying them. But they tend to experience these emotions at more moderate and manageable intensities, have a much lower tendency to judge the emotions as good or bad, and be better able to respond appropriately to the emotions. So, mindful individuals have superior emotion regulation. This should allow them to be better able to deal with emotions in therapy and have better therapeutic outcomes. In a previous post we learned that mindfulness improves the performance of therapists by improving the therapeutic alliance with the client.This alliance, however, involves two people, the therapist and the client. It would be interesting to know if the client’s level of mindfulness was also important in psychotherapy. Would more mindful clients respond better to therapy and have improved outcomes? Cousin and Page investigate the relationship between the clients’ levels of trait mindfulness and the success of group therapy for emotional issues. They treated clients with a variety of psychological disorders, and measured their improvements in emotion regulation over the 20 weeks of group therapy. They found that high trait mindfulness was associated with greater improvements in emotion regulation than for participants with low trait mindfulness. These results strongly suggest that the client’s level of mindfulness is as important as the therapists in promoting positive outcomes in psychotherapy. They also strongly suggest that clients’ who are high in mindfulness are better able to improve regulation of their emotions in therapy. These are important findings as they suggest that mindfulness training may be an important way to improve the effectiveness of psychotherapy. So, be mindful and respond better to therapy.